The children have access to a range of physical activities. We have a number of specialists who provide coaching for physical activities. Our staff work alongside the specialist and are able to learn from their expertise. 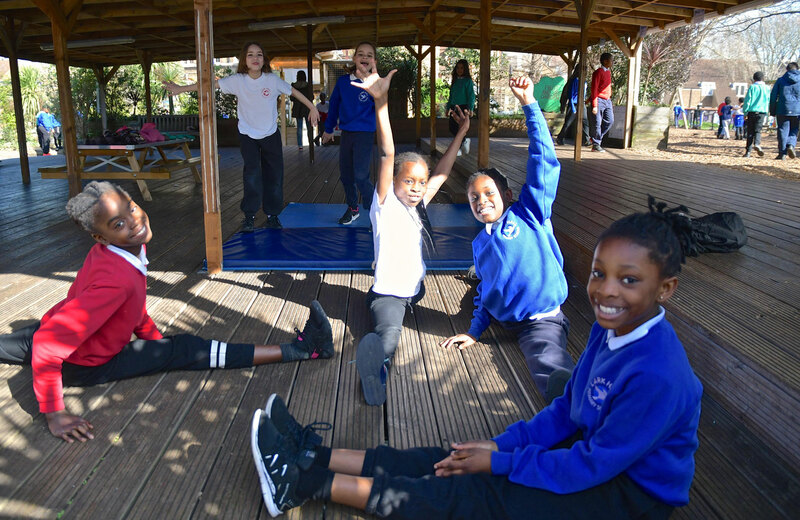 :Physical activities offer many of our pupils the opportunity to excel and achieve .they also provide opportunities to develop motor skills and support with sensory integration. We have a coach from an organization called moving matters who works alongside teacher to provide weekly PE sessions. The lesson are adapted to accommodate the needs of each class. Children learn a range of skills and have the opportunity to play team games. We have a qualified coach from an organization called Beaming Stars who delivers weekly Gymnastic lessons. The sessions are delivered as a block. Swimming is a very important life skill and all children have swimming lessons at our local leisure centre - We have been fortunate to receive funding from a charitable organization TSF. This allows the children access swimming lessons throughout the year rather than for one term. Cycle Training UK have been providing weekly cycling lessons in the Centre for Autism for a number of years. We are very fortunate to have skilled instructors who have a very good understanding of the children’s needs. All children are offered a block of lessons on a rota basis. They are taught to ride a bike, and where appropriate some children will be taught advanced riding skills and bike maintenance skills. At Lark Hall Centre for Autism, we offer a range of after school clubs to our pupils. These clubs run weekly and provide the children with opportunities to try new activities with a group of children different to their usual class group. We have been fortunate to receive funding from organisations making it possible to offer a variety of activities which are accessible to all of our children. • Bike club - Wheels for Wellbeing is an award-winning charity supporting people of all ages and abilities to enjoy the benefits of cycling. They bring a range of bikes which are suitable for all of our children. These range from traditional tricycles to hand bikes, banana bikes and go karts. Instructors from Wheels for Wellbeing work alongside Lark Hall staff to support the children. • Sports Club – These sessions are run by the coach from Moving Matters who also leads our PE sessions. The coach is assisted by Centre for Autism staff to help the children develop and extend what they have learnt in their school PE lessons, through a range of activities and games. We also focus on the social aspects of playing team sports. Football, hockey and basketball are some of the sports that we have participated in. • Art Club – This club is run by a member of our staff team who has a background in Art. The children have the opportunity to explore different art techniques and use a range of materials including paint, pastels, clay and collage. They are able to focus on a particular technique over a number of weeks and topics have included self-portraits, 3D model making and aboriginal art. After school clubs are open to all Centre children who enjoy the activities and are happy to take part. Mainstream siblings of Centre children are also welcome to attend clubs. The clubs we offer do change from time to time, this may be due to a new opportunity becoming available or funding coming to an end. Information about clubs is sent home each term.